Mrs. Holland has been involved in Education for over 18 years. She holds a BA in Education and MA in Educational Leadership from Concordia University Chicago. She received a MS in Reading and Literacy from Capella University in Minneapolis and holds several endorsements, including gifted education, reading specialist, sociology, geography, general administration, and middle school. She is also Nationally Board Certified in Language arts and Literacy and she continues to be active with the National Boards. She was nominated for Lyons Club Teacher of the Year in 2010. She is a current doctoral student at Northern Illinois University (Go Huskies!). Mrs. Holland taught middle school language arts, social studies, and science for 7 years and was a reading specialist at Indian Springs 109 in Justice, IL for 3 years. She made the move to curriculum work in 2011 and became the Literacy Professional Development Coordinator at West Aurora 129 for four years, before becoming the Intervention and Enrichment Curriculum Coordinator. 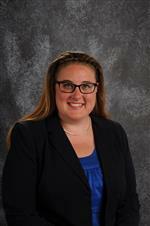 She is in her third year as part of the admin team at Lockport District 91. Ms. Holland lives in Lockport with her two sons and her pet turtle. They enjoy sports, swimming, philosophizing, and spending time together.